Q & A with renowned specialist Al Jaugelis on the North American Fenestration Standard: The RDH Building Science expert explains what NAFS means for architects, designers, and builders in B.C. On November 20, 2017, Brando Ciccone, Marketing Manager at Stilewood International Door and Window, had the pleasure of interviewing Al Jaugelis, Senior Fenestration Specialist at RDH Building Science. 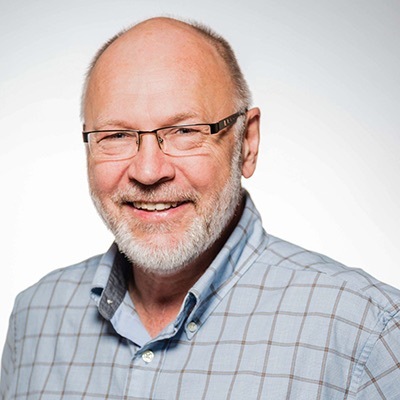 Al brings to his role at RDH practical experience in the fenestration manufacturing industry, active participation in industry associations and technical committees and a clear understanding of Canadian code requirements applicable to fenestration. Al is also a recognized authority on the North American Fenestration Standard (NAFS), which he writes about in the NAFS in Canada blog. In their discussion, Brando and Al focused on NAFS and how it affects those who design and build custom residential houses in British Columbia. Q. Can you explain what NAFS is and why NAFS was implemented into the National Building Code of Canada (NBC) in 2010? A. NAFS was created to harmonize the lab testing requirements for windows, doors and skylights in the U.S. and Canada. The first edition was published in 2008. Before NAFS, manufacturers selling to both countries had to test their products to a different standard in each country, even though both standards were testing properties such as air tightness, wind load resistance and resistance to water penetration. NAFS was designed for mass production products, such as factory-glazed windows that are manufactured at standard sizes. Complying with NAFS is more challenging for custom products, site-built products and products imported from overseas. Q. How do architects meet the intent of the Code but still give their clients design options and design flexibility? Part 5 requires fenestration products to be “designed and constructed” to resist air leakage, water penetration and all loads the installed products may be subjected to. The Code recognizes NAFS for this purpose, for “windows, doors, and unit skylights,” the specific products to which NAFS applies. Commercial glazing systems used in large buildings, such as storefront, curtain wall and sloped glazing systems are excluded from the NAFS standard, and comply with these Part 5 requirements in other ways. If a custom home design requires products that have not been NAFS-tested, architects could qualify those products in a similar way as they do for large buildings, relying on measures such as lab test reports for air and water tightness, engineering to qualify structural performance and jobsite testing to verify water tightness of installed products. This approach relies on registered professionals to ensure the intent of the Code is achieved. It is desirable to consult with local authorities before using this approach, as Part 9 building officials are generally not familiar with it. Q. Does enforcement of NAFS differ between the different municipalities here in British Columbia? What is being done to standardize NAFS enforcement on a provincial level and how is it being monitored? A. The interpretation and application of the Code has traditionally been the responsibility of the local authority having jurisdiction, in this case the municipal building department. This accounts for the variation enforcement practices between the municipalities. Once the B.C. Building Act is fully implemented it will reduce the scope for interpretation by local authorities, but this may not on its own lead to consistent enforcement. Vancouver is the only city in British Columbia with its own building code. The rest of the Province follows BCBC. While the NAFS-related language in BCBC has been amended in Revision 8, there is no fundamental difference of intent between BCBC and the Vancouver Building Bylaw (VBBL). Q. A common challenge among custom home builders is understanding whether overseas fenestration and door products meet the NAFS requirements. What type of documentation is required from these European manufacturers to ensure that their products meet the North American standard? A. Ideally, European fenestration products should be NAFS-tested to qualify them for use in Canada. This is the advice I give to European manufacturers interested in entering the North American market. Technically, European testing for structural-air-water properties is similar to testing in North America, but it is difficult for a B.C. architect or engineer to accept a high-level European certification document as reliably reporting the performance of products at the sizes and configurations and options supplied to a particular building. NAFS testing is intended to qualify products at the installed sizes, and installed product size testing is not usually available from the European product vendor. Although the Code requires no more from a Canadian manufacturer than a “trust me” label reporting tested performance at a certain size, that manufacturer is located in Canada and could be held to account for a performance failure. Accepting a product with documentation other than a NAFS label requires confidence that the product will perform to the requirements of the Code. Use of Part 5 measures such as site-specific engineering and installed product testing can provide a basis for such confidence. Q. How does NAFS impact site-built fenestration products? A. NAFS labelling is only practised for factory-glazed windows and doors, which are normally tested by the same party that fabricates the finished product—the manufacturer—and the labels are intended to report the performance at the size supplied. Site-built products, if they have been NAFS-tested, may not have been tested at project sizes, and were likely tested by a party different than the one supplying the framing and installing the glass. In this case, there is no single party responsible for testing and manufacturing the products, and no basis upon which to label the products. Under the large building “Part 5” compliance path such products are qualified by site-specific engineering and additional field testing in addition to existing lab test results. Q. We are not aware of any pivot door manufacturers who have NAFS testing for their products. This is an issue as several architects see pivot doors as the ideal solution for heavy custom doors. At this point, I’d like to have an open discussion about pivot doors – and whether there is a solution to this issue? A. There are several ways to approach this. The intent of Part 5 in this context is to ensure that wind and rain do not damage the structure of the building, and that air leakage is controlled. (Part 9 is also concerned about forced-entry resistance and resisting penetration by insects.) NAFS allows doors that are protected from driving rain to have a “limited water” level of resistance, but a pivot door with no threshold may still be unable to comply with that. However, there are other ways the intent of the Code can be satisfied. On large buildings architects protect commercial entrance and exit doors: by sheltering them from driving rain where possible; by using durable floor finishes that can safely sustain minor wetting; and sometimes by drained gutters. To manage this risk for custom homes, architects could consider measures such as: substantial overhang to protect the door sill from driving rain; detailing the door-wall interface to protect wood framing; using durable interior floor finishes; and locating gutters in front or inside the door to manage infiltrating water. I would urge pivot door manufacturers to conduct NAFS lab testing even if they cannot meet the water requirement, or to test the door with a gutter assembly, to give the architect and building officials confidence in the air leakage resistance as well as the structural and forced entry performance of pivot doors. Q. Are there any impending NAFS changes that those within the industry should be aware of for 2018? A. The next editions of BCBC and VBBL will likely refer to NAFS 2011 instead of NAFS 2008. This is not expected to have a great impact on manufacturers or on specifying practices—for most products. The differences between NAFS-08 and NAFS-11 are reviewed on the NAFS in Canada blog. Stilewood warmly thanks Al Jaugelis for sharing his time and expertise with us! If you are interested in learning more about NAFS, or to schedule a free 15-minute consultation with Al, visit the NAFS in Canada blog here.